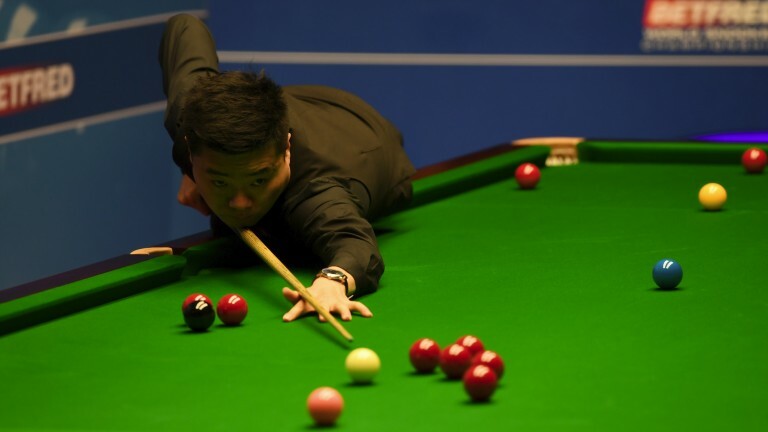 Liang Wenbo has done well in his personal series with Ding Junhui having won three of their four major meetings and that will afford hope to anyone who believes the Chinese number two could upset the Chinese number one in their Betfred World Championship last-16 clash. But Liang's scoring in his first-round victory over Stuart Carrington has to be a concern. Credit to the world number 13 – he did well to fight back from a 5-2 deficit after the improving Grimsby cueman knocked in three century breaks on the trot. That could have rattled Liang, but the fact he still captured eight of the next ten frames contested speaks volumes about his attitude, even though he made only two breaks above 50 in the entire match. It was a different story in Ding's opener against Zhou Yuelong. Three tons plus six breaks of between 50 and 99 suggest the fourth seed's preparation is pretty much spot-on for the Crucible this year. Ding should be too strong for Liang in the scoring department and it could pay to have an interest on Ding, one of the finest breakbuilders the game has ever seen, making at least two tons. It’s no surprise to see four-time champion John Higgins favourite to progress to the quarter-finals with a victory over Mark Allen, but the Northern Irishman merits respect going into the clash. His performance in edging out Jimmy Robertson 10-8 turned few heads, but the quali­fier compiled nine breaks of between 50 and 99 so Allen did well to win the match. He also stepped it up when he needed to against Robertson and Allen, whose high-quality UK Championship final against Judd Trump in 2011 should never be forgotten, is good enough to make his presence felt against Higgins. The Scot, who scored well in his opening 10-6 victory over Martin Gould, has won all three of his longer-match outings against Allen and may well make that four out of four, but the talented outsider can keep it close.